Article originally published in GTG Dec 2011 – The GTG: years ahead of the curve! Preparations for the 2012 Olympics are continuing apace, with the latest exciting infrastructure developments being right here in Grey Town! 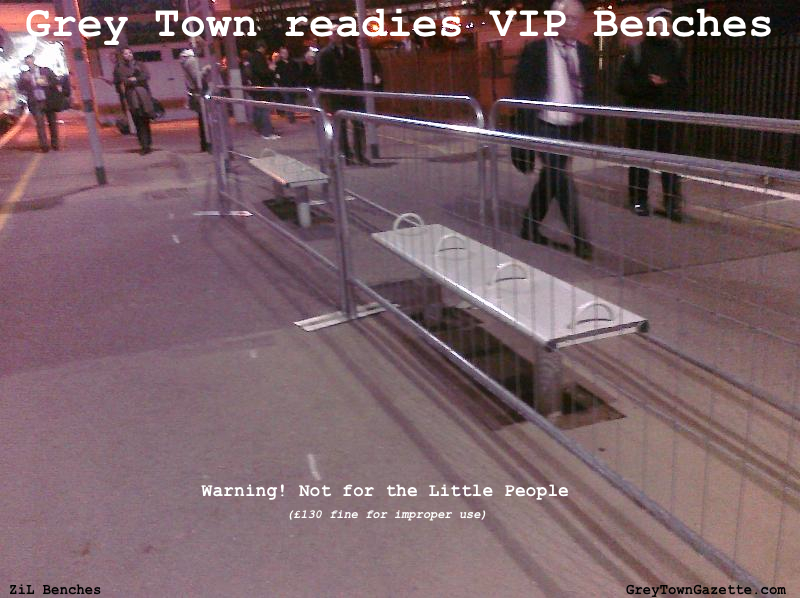 New VIP benches have been installed at Grey Town East station a full 6 months ahead of schedule!